As·bert int ap co·ndechad for cel. 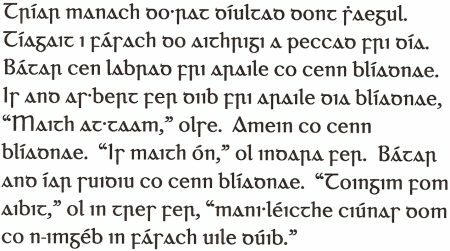 Dúirt an t-ab go ndeachaigh tú ar ceal (.i. 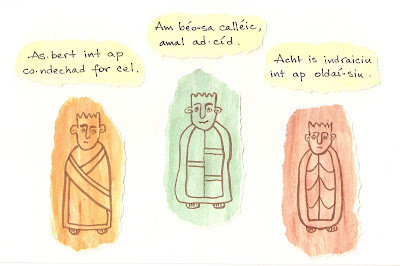 go bhfuair tú bás). The abbot said that you died. 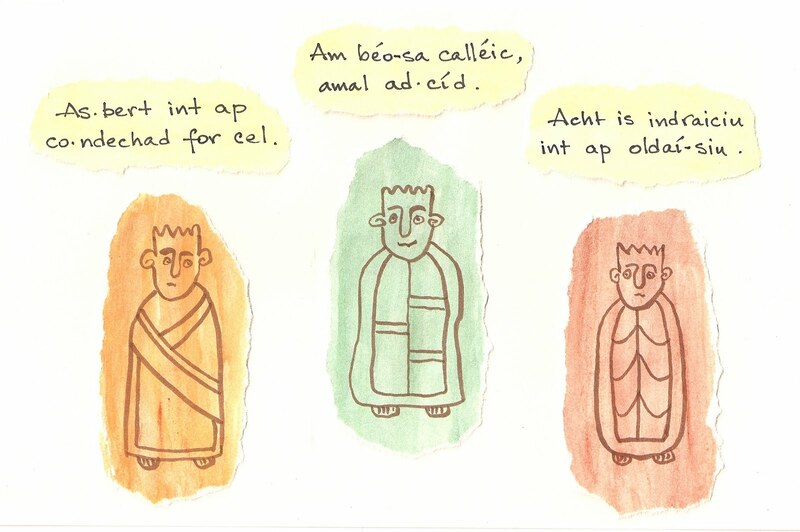 Am béo-sa calléic, amal ad·cíd. 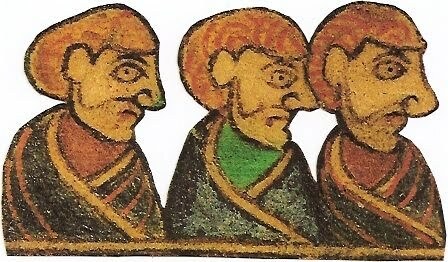 Tá mé beo mar sin féin, mar a fheiceann sibh. I'm alive nonetheless, as you see. Acht is indraiciu int ap oldaí-siu. Ach tá an t-ab níos iontaofa ná thusa. But the abbot is more trustworthy than you.